Dr Omar Amin has helped to take Parasitology to a Professional Level of expertise. I’ve personally had numerous patients who are extremely ill and have had negative stool reports that Dr Amin has found Multiple Parasites. I am writing to acknowledge how pleased I have been with your expertise and service over the past two decades. Not only have your diagnostic skills been life-saving in so many cases, but I especially appreciate how willing you are to discuss and offer personal insights, should the occasion arise. I would highly recommend your lab without reservation to anybody anywhere. "I have used several labs for parasite testing over the last 15 years. The low cost, ease, and excellent customer service of Parasitology Center make it my lab of choice. Dr. Amin's expertise, coupled with his kindness, are unparalleled in the business." Jack Adam Weber, L.Ac., C.H. I am very familiar with the work of Dr. Omar Amin at the Parasitology Center, Inc. He has an international reputation for his work in the area of parasitology, both human and animal. Dr. Amin has been my guest at Brigham Young University on an annual basis giving seminars on human health and his work in other countries. He includes in his lectures the nature of his work at the Center that he established for human parasite research and disease detection. I have recommended several people to him when they were unable to get a definitive diagnosis of their parasitic diseases. All have been very satisfied with Dr. Amin's work and analysis of their medical problems. Medical doctors often refer to his help when the human case involves parasites. As a parasitologist in this region, often medical physicians will call and ask about an organism that has been seen in their patients. Medical training in the area of parasitic diseases is limited for future physicians. Thus, Dr. Amin plays an important role in helping patients and consulting with practicing physicians. As a research associate, I have confidence in his work and writing. Dr. Amin is very thorough while undertaking research projects. His numerous publications exemplify his research and acceptance in the scientific community. I am happy to consider him not only as a research associate but as a friend who is honest and very professional in all aspects of life. I have been practicing alternative medicine for the past 34 years. I became interested in the problem of parasite infestation early on and I even had a parasitologist from Africa who worked in my office for a period of time. I came to understand that although my medical school training taught us the various parasites there was no one in the local labs who could make a diagnosis. I became acquainted with Dr. Omar Amin in 1992 and realized that I needed his help to properly diagnose the parasites. He subsequently opened his lab and it didn’t take long for his work to flourish. Undoubtedly we must consider him Mr. Parasitologist. He has published many research papers, travels widely to attend conferences in his specialty and makes himself available for consultations. Thank you, Omar, for the good work that you do and for profound scholarship. I have been using Dr. Amin's GI/Parasiting testing for several years. I have compared the results to other labs and have complete confidence that his methodology is the best. I have found negatvie results from other labs and yet positive when performed by (either Dr. AMin or company your choice), therefore being able to provide life changing treatments for patients. He is always available for consultation with the doctor to help with treatment suggestions. I would recommend this testing for any professional looking for VALUE and ACCURATE results. Thank you for the wonderful work and service of your parasitology center. I have consistently found that you are able to uncover parasites and infections in my patients who are misdiagnosed with other labs. The prices at the parasitology center are very reasonable for the patient. The test is also extremely thorough and exact. Mostly , I am impressed with the personalized service that you and the lab provide for the doctors seeking anwers and more information. Thank you for your wonderful work and service. The parasitology center has changed the way I practice and improved the quaility of patient care for me. I have used Parasitology Center for 13 years. I have found them to be especially helpful. Many times the parasite report explained why a patient has not been feeling well, even though they did not have specific intestinal symptoms. By detecting parasites I have been able to resolve some very difficult health conditions. I like their experience with parasites from all over the world, since many of my patients are world travelers. Dr Amin has been able to aid me in deciding the best medicines (pharmaceutical and botanical) for difficult cases also. The results are usually faxed to me very quickly. 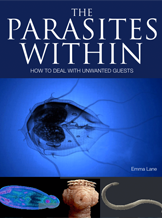 I am pleased to have a reliable resource that can accurately identify parasites. If I suspect a parasite, I know Dr. Amin will find it. We have been associated with Dr. Omar Amin and the Parasitology Center since February 2004. We believe there is a root cause of illness, and that modern science often overlooks testing for micro-organisms likely to originate disease. Many of our customers sought natural methods of health when diagnosed with a wide variety of problems, or were thought to have a mental disorder; after testing revealed nothing out of the ordinary physically. Discovering the existence of such organisms as parasites, fungal overgrowth and metal/chemical toxicity (often causing Neurocutaneous Syndrome) by using the Parasitology Center Specimen Kit, then natural products and dietary changes that we advocate, helped to improve or resolve their health issues. Dr. Omar Amin, his teachings and research, along with the meticulous work of the Parasitology Center, have been of monumental inspiration in helping our customers understand the root cause of their health issues, giving them hope and the strength to overcome what much of modern-day medicine abandoned. I wanted to send a quick note to thank you for being such a fantastic physician. You are truly one of the most competent, caring, and notable individuals I've come in contact with a long time. I find this doubly impressive considering the paranoid, panicked frenzy you probably deal with on a daily basis. You embody the highest ideal in medicine to me. You recently spoke with one of my friends who picked something up in Bali, and you put her instantly at ease. Your sort of an angelic figure, lifting so many people out of their mental torment, and I hope you are rewarded endlessly. In Ayurvedic Medicine, it is said that that the body cannot maintain its health unless the digestion is healthy. As a complementary medicine practitioner who specialises in treating digestive disorders using natural substances, Dr Amin's expertise in clinical parasitology, and his laboratory's diagnostic tests, have been invaluable to my practice. Because the effectiveness of herbs and other natural substances against parasitic disease is often species-specific, and the PCI test screens for over forty organisms at a very reasonable cost to my patients, I have used the PCI tests for over 20 years. Thank you for taking the time to speak with Merry Citoli and myself on the phone this past Friday. In your conversation with Merry, you recommended that I have a number of tests done and that if I faxed an e-mail address to you, your office could send a list of tests and the costs per test that would be helpful in detecting any other potential parasitic infections that might be impairing his immune system. I am grateful for your work and based on what Merry explained to me, of how you helped her in finding Cryptosporidium and Blastocystis hominis with it going undiagnosed for over a year. Merry told me that she owes her life to your lab and accurate test results. May I wish for you and all your friends and family all kind of success and happiness for this new year. I hope to contrinue your friendship as from so many years ago. Last year I published a paper for you in Systematic Parasitology (enclosed). It is just a mention of your name, but more, an acknowledgement because you had done so many in advance of our group. Always, your papers, all your work is a model, is an example of good doing for all. Thank you so much for your very good work. And please, receive my work as an acknowledgment. I acknowledge with many thanks your messages. I write regarding Parasitology Center Laboratory and the work of Dr. Omar Amin. I have worked with this lab for about 20 years, and Have found Dr. Amin's parasitology diagnostics and therapeutic support to be extremely valuable in my care of Chronically ill patients. Their work is prompt, economical and very reliable. I am grateful to have found Dr. Amin. John A. Green III, M. D.
Dr. Omar Amin is an outstanding authorized expert who practices parasitology with great enthusiasm and accuracy. I have experienced his efficiency in parasite identification, as well as in training young parasitologists. The way he deals with parasite identification, whether in clinical practice or in research, reflects his passion to this science. The state of the art technique he follows together with the experience that his center has gained along the years, allowed him to help solving many clinical puzzels and reveal many hidden pathogenic illnesses. His diagnostic abilities and care for patients have helped physicians, nationally and internationally to treat their patients successfully. I have been doing parasite testing for many years, and my opinion is that Parasitology Center, Inc. is the best. Looking for parasites is what they have been doing for years and Dr Amin is an authority on parasites. I strongly recommend Parasitology Center, Inc. for parasite testing. I first learned about Dr. Amin's laboratory back in 1997 when I expressed to a colleague my dismay at one of the insurance based labs that misdiagnosed a stool specimen as "normal" on two separate evaluations, that was later confirmed to have tape worm infestation by a state lab. If I cannot trust them on the macroscopic evaluation, how could I trust the microscopic evaluation -- a situation made even worse when I would get reports of Blastocystisis hominis as being a "normal" part of microflora! Since I have been using Dr. Amin's services, my yield of correctly diagnosing a GI related parasite condition has gone up tremendously and has resulted in helping my patients get better with the correct therapies. I view his microscopy skills way above everyone else's. (where else do you have a PhD parasitologist evaluating your patient's specimens? ) Dr. Amin is prompt and readily available for phone consultation as well, and his costs are reasonable. "In the very challenging problem of diagnosing parasitic infections, I have long considered Dr. Omar Amin at the Parasitology Center, Inc., as the most reliable testing available." The Parasitology Center is the primary laboratory we use at Women to Women to screen our patients for gastrointestinal disorders related to yeast and parasites. The work of Dr. Amin is invaluable; it is reliable, relevant, and diagnostic. immediately with only one test. dangerous and if it was not for Dr Amin's brilliant testing and tremendous compassion I know my daughter would not be on the road to recovery. He is also willing to take the time to work with the doctors who work in infectious disease. I have cared for complex patients such as CFS and MCS for over a decade -- and provide restoration of immune systems injury with Low Dose Antigen therapy. Identification of subtle, yet serious, parasitic infections are essential with such complex patients. In my experience, so called "Comprehensive" stool tests do not give me the specificity and sensitivity that the Parasitology Center has given me. We are writing to congratulate you on your excellent performance of the PCI lab including, timely delivery of specimen boxes, friendly, helpful staff, and most importantly high yield and success in picking up parasites of all kinds when clinically suspected in patients. We are looking forward to a great working relationship in the new year. local labs have consistently failed. I recommend his services to other practitioners. The tests I have done through the Institute of Parasitology and the analysis done by Dr. Amin, have been extremely helpful and useful in treating some of my more difficult patients. I strongly believe in running stool tests on my patients. The information you get is key in getting patients back to good health.